Home to Saturday Night Live and almost every late night comedy talkshow running on TV, New York City is undoubtedly a comedy capital of the globe. People of all walks of life come to the big city in search of stardom. We’re celebrating the homegrown comedians of NYC with a list of 10 funny people that had New Yorkers LOL-ing from the start of their careers. Read on to see if your fave made the list! Born and raised in NYC, Billy came straight back to the Big Apple after college at Northwestern University to begin his career. His comedy game show Billy on the Street makes us laugh every time without failure as he startles tourists and New Yorkers alike with his loud, hilarious antics. Before we knew Mindy as the creator and star of The Mindy Project, she was living in Brooklyn doing stand-up gigs all over the city. Prior to her breakout role on The Office, Mindy co-wrote and performed with her college roommate in the off-Broadway play Matt & Ben which reimagined how Matt Damon and Ben Affleck wrote Good Will Hunting. The play was met with critical acclaim and even named one of Time‘s “Top Ten Theatrical Events of the Year” in 2002. 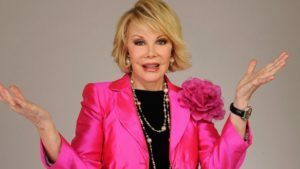 She may no longer be with us, but it felt wrong to publish a list of comedians who got their start in NYC and not include Joan Rivers. Is there anyone more “New York” than Joan? Born and raised in Brooklyn, Joan started her career doing stand-up at comedy clubs around Greenwich Village like The Bitter End and The Gaslight Cafe. The celebrity transformed the comedy world and paved the way for brilliant, hilarious women to come. Growing up just outside of New York City in Valley Stream, NY, Fred quickly rose to stardom when he joined the cast of SNL as a featured player in 2002 and a full cast member in 2004. His television show Portlandia clocks millennials left and right, always keeping us in check. 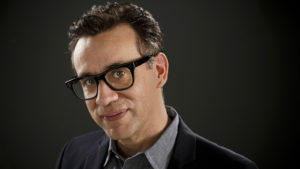 While Portlandia only has one season left beginning in 2018, we will still get our does of Fred as the band leader for Late Night with Seth Meyers. Yup, this comedian is actually a super talented drummer, too, playing in punk rock bands since his youth. 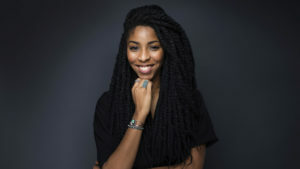 She may be a California native, but Jessica Williams really rose to fame as the youngest correspondent ever for the The Daily Show in New York City. Since leaving the show in 2016, Jessica’s career has only continued to grow with her podcast 2 Dope Queens. Check her out as the star of the Netflix film The Incredible Jessica James. 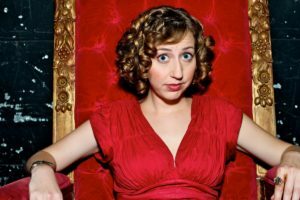 Originally raised on her family’s cattle ranch in Colorado, this comedian extraordinaire made her way to New York City in 2000 after graduating from Northwestern University in Chicago. Her big break came when New York magazine named her one of “Ten Funniest New Yorkers You’ve Never Heard Of” in 2005 thanks to her killer character work at the People’s Improv Theatre in Manhattan. The second season of Aziz’s Netflix show Master of None has really thrown him back in the spotlight this year, but back before even Parks and Recreation, he was making New Yorkers laugh at Upright Citizens Brigade. 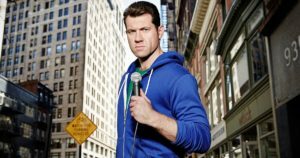 He launched his career performing stand-up while still in school at NYU back in the 2000s. 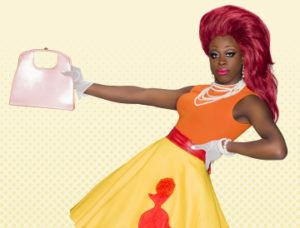 Before Bob the Drag Queen walked onto the runway purse first and snatched the crown on Season 8 of RuPaul’s Drag Race, she was serving looks and laughs all over New York with her Brooklyn-based stand-up career. A transplant originally from Atlanta, she is proud to call NYC her home now. Back before LGBT marriage equality, she and her friends would host protest drag marriages in Times Square to shine a spotlight on queer inequalities. These Broad City babes first met taking classes at Upright Citizens Brigade in New York City. Their signature show started as a web series before becoming a live event performed at UCB. Later, with the help of UCB founder Amy Poehler, the show made its way to the Comedy Central television staple we know today. While his recent notoriety comes from his show Atlanta, this Georgia native’s career took off right after graduating from NYU when Tina Fey picked him up as a writer for 30 Rock in 2006. 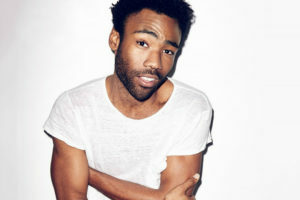 Since then, Donald’s been taking not only the comedy world by storm, but also the music scene with his rap stage name Childish Gambino. So there you have it. We even one-up’ed ourselves and gave you 11 comedians because there were so many New Yorkers to choose from! This city is brimming with funny folks thanks to great incubators like UCB, the PIT, and more. Celebrate Comedy Month on TodayTix with no-fee tickets to comedy shows in NYC, and you might catch the next star on the rise before they’re famous.